I have inherited 100’s of turning blanks worth 1000’s of dollars that I will need to thin out after I get them all together. For those of you that may be interested in helping me at bargain prices to get rid of them let me know. I will let those know when the time comes. My brother passed away and he loved his turnings. I think he loved buying all different exotic blanks too. I believe I have more than most stores carry at one time. Sorry for your loss Dave. Dave – sorry to hear about your brother. 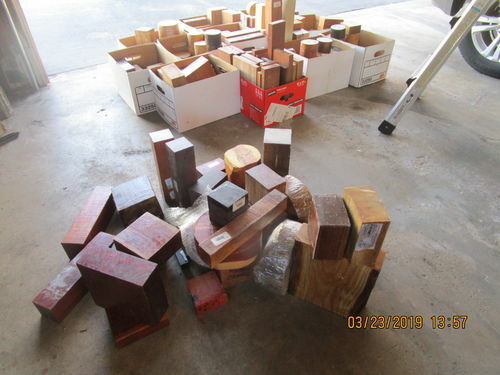 I would be interested in just about any of the 2” or 3” thick square/rectangular exotic or odd domestic pieces. I might even be able to stop by some weekend in early May or June. I live due west of you about 3 hours just across the river. My condolences, Dave, for what that’s worth. I have more wood than I know what to do with. I would willingly buy some of those but the postage is so expensive, so will give it a miss. Dave, I am very sorry to hear about your loss. Again, Condolences on the loss of your brother, thoughts and prayers go out to you and your family. Sorry for your loss. Condolences to you and your family. Dave, sorry to hear about your Brother. Sorry to hear that Dave, my condolences to you and your family. Sorry to hear about your brother. You might see if any local turning clubs are interested in buying them. They would probably jump at a good deal and that would save postage and shipping hassles. 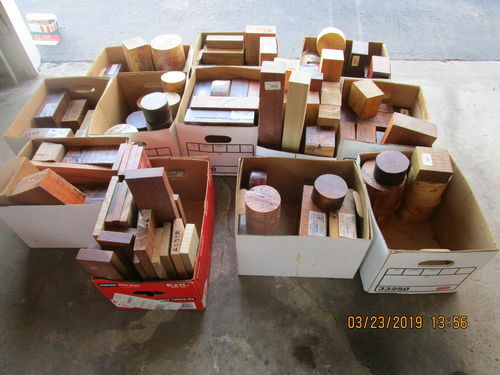 I would contact Al Miotke of the Chicago Woodturners … they are a large AAW chapter and I would bet they could help you liquidate that stash in a hurry! Their website is http://www.chicagowoodturners.com, or you can email Al Miotke direct at [email protected] Al is also the president of the Segmented Woodturners AAW chapter. So sorry for your loss Dave. I would love to see some of your brothers turnings if possible. 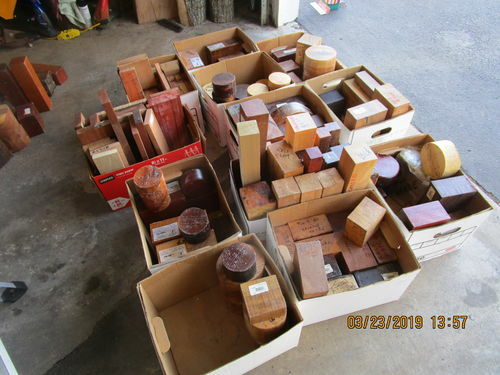 As you know I do not own a lathe but I’m sure you will find a good home for all of his turning blanks.